Garden Adventures - for thumbs of all colors: Perfect in its Imperfection. Take a stroll through the garden with me as I share insights, tips and “I wish I had known better” thoughts. As a designer, container gardener and plantaholic I have learned by simply getting my hands dirty that thumbs really can go from brown to green. Join me on a fun adventure. "..... I think it needs me". I’m my own worst enemy. I love inviting visitors into the garden yet I want them to see my garden at its best – which is going to be a very long wait considering all the major renovations we deem necessary. I’m embarrassed at the thought of someone thinking that we are happy with the garden in its current condition – or worse that I designed it this way! Unexpected guests are subjected to a litany of apologies and explanations as I desperately try to make our vision clear. I can relax a little with friends who have known me for some time and have seen our makeovers before. At least they know theoretically that we can transform this waterlogged bramble patch into something special. Whether of course they believe it is possible in this instance I have no idea! No, my real worry-meter goes into the red zone with those who visit for the first time. Yet I know I'm being silly. Let’s face it if they see it at its worst they can’t fail to be impressed in a couple of years can they? I should be embracing the opportunity to have them join us on this adventure. I’m not going to hand them a shovel but I’ll certainly be glad of their cheerleading from time to time! So why are we so embarrassed by anything less-than-perfect? Damaged it may be, but valueless it is not. 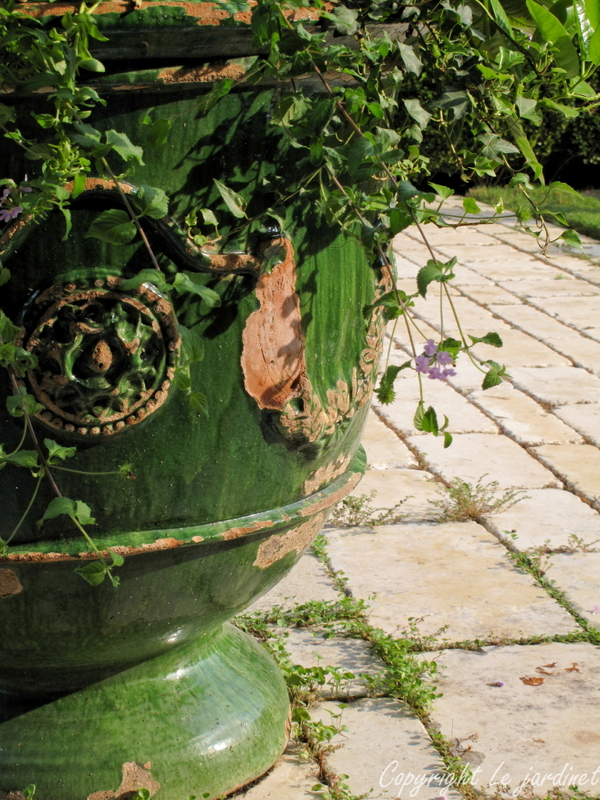 As I lay down on the ground to take a photo of a chipped green urn I am quite sure other garden visitors thought I had totally lost my mind. 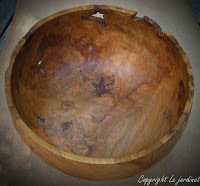 Yet I was drawn to the way this humble vessel perfectly worked with its surroundings and was enhanced by them. The weathered brick pathway echoed the color of the unglazed clay, revealed where the pot had been fractured and the deep green glaze drew my attention to the lines of grass growing between the pavers. Perfect harmony achieved between two imperfect elements. 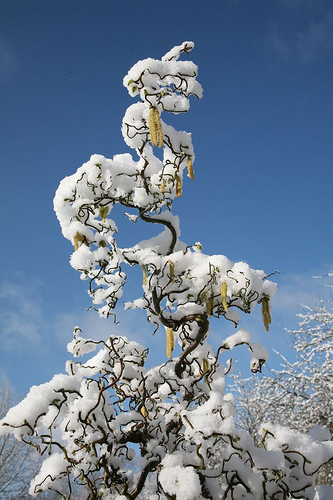 Is every tree and shrub in your garden ‘perfect’? 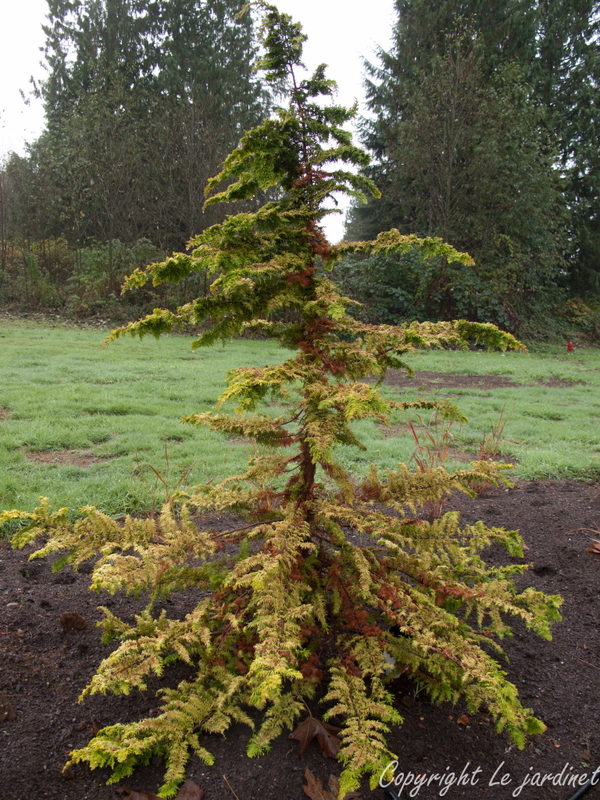 We have a rather sad looking golden Hinoki cypress in our garden (see top photo). It has been used in various container gardens for five years, was fostered temporarily by friends, moved house and after an initial false start has now found what my husband hopes will be its final resting place. You would expect after going to such trouble that this would be a stellar specimen. It’s not. 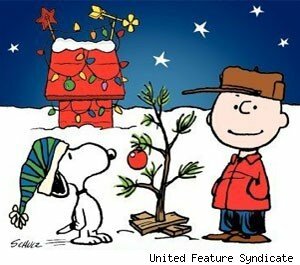 In fact it’s a seriously ‘Charlie Brown’ tree*. At least the Hinoki is still alive, but do you save dead trees too? I have told you before how the highlight of our new garden was an incredible, very dead and very large big maple tree (Acer macrophyllum). Bleached white, startling against a grey winter sky, a giant pecking post for woodpeckers, we may not have planted it but it serves many purposes and thus has an intrinsic value. We also have the remains of an old Rhododendron, long deceased; probably due to excessive flooding over the years. Most people would have ripped it out to plant something new. 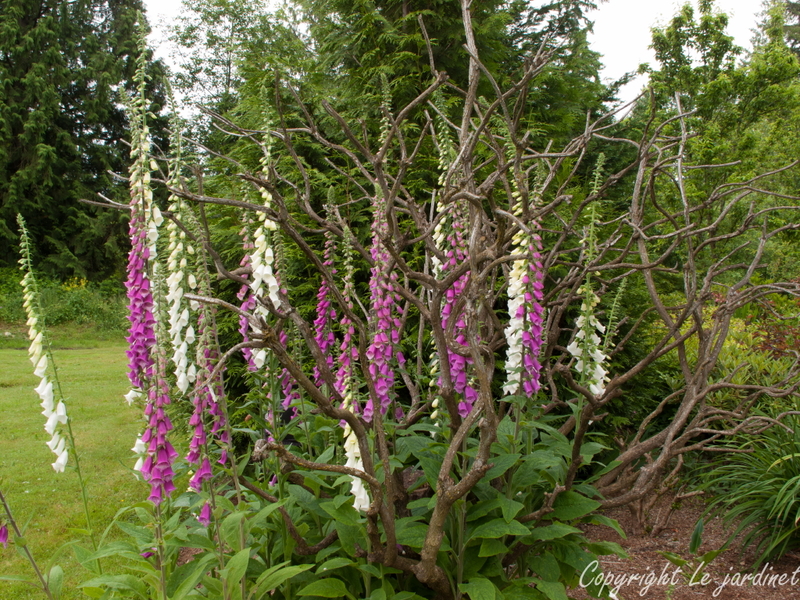 To me it looks like a piece of coral and I love growing foxgloves through it in spring. supports the life of others. And then there are the Mutants. Not a science fiction story, but certainly one where botanical scientists have taken unusual plant mutations to bring us some spectacular new varieties. Witches brooms are strange, congested, twiggy growths which occur on trees, especially conifers and many of these are now coveted dwarf cultivars. The popular birds nest spruce (Picea abies ‘Nidiformis’) was discovered as a witches broom on the Norway spruce (Picea abies) for example. hazel shows off its true beauty when bare. Contorted branches such as ‘Twisty baby’ dwarf black locust (Robinia pseudoacacia ‘Lace lady’) or corkscrew hazel (Corylus avellana ‘Contorta’) have been painstakingly bred from the ‘perfect’ form. The latter was found growing in a hedge in the 1800s and has been propagated by grafting ever since. Our gardens, especially in winter would be less exciting without them. Burls are cankerous growths protruding from the bark of many trees and conifers. To the casual garden observer these benign tumors may appear unsightly. Yet hidden from view this rampant cell growth has produced a unique art piece, the twisting cell walls distorted and distended like a piece of pulled taffy creating beauty within the beast, a treasure waiting to be discovered in the hands of a talented wood turner. So my New Year resolution - in November - is to try to relax. It is what it is. It may not be perfect but this garden has character and personality. Like a parent I’ll try and train certain plants to play nicely with others and make it clear when they overstep the boundaries. At the end of the day though I love them all – and hope you’ll forgive a few imperfections. Charlie Brown: I don't care. We'll decorate it and it'll be just right for our play. Besides, I think it needs me. I think that most people even fellow gardeners are not aware of the glaring imperfections that we all dwell on in our gardens. However, the words "final resting place" are kind of ominous and caused me to send some postive thoughts to your Hinoki :-). That's funny Carolyn!! Like you I hope it doesn't end up as mulch. My husband swears all my plants should have wheels as he is asked to move them around so often until I am happy - there's that perfectionism again. Aargh! Great post! I identify with the apologies. I do try to refrain from them when showing off my garden, but it is hard! It comes to appreciating what is, rather than what was or might be. A real garden is ever changing and adapting to what life and death brings. The fact is, a perfect garden can be boring and even intimidating. I want visitors to feel at peace and welcomed in my garden. Hello Karen, so nice to meet you via Alison's Bonney Lassie blog and Read 'em All Tuesday. Oh, I have suffered nerves of epic proportions every time we have garden walks here, too. 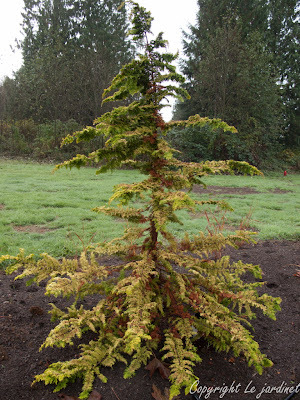 We gardeners always want it just perfect, but I have often found visitors to be more impressed with the things I didn't plan on, such as your Hinoki Cypress. They'll be thrilled with a rock or three of ours that aren't even placed where we wanted them yet and I'll be amazed. I think we are all too hard on ourselves. Your garden is just wonderful. The old maple tree is something I wouldn't have thought of leaving stand, we are chainsaw wielders around here, but now that I see yours, what a wonderful focal point! Deb, I love your reminder that a perfect garden can be intimidating. I probably became such a perfectionist simply because I saw 'perfect' gardens and thought I had to achieve the same. One of those self-perpetuating phenomena. Karen - thanks for joining us and welcome to my garden! Isn't it funny (if you can keep a sense of humor) that visitors can completely miss what you had expected them to be wowed over, and love something which you were hoping they wouldn't notice! 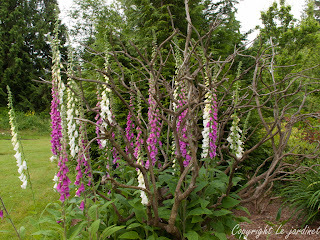 Incidentally Karen, if you head to my Facebook page and find the 'Island Border' photo album, you will see how we incorporated that dead maple tree into the new garden. Beth - that is priceless!! I can just picture it. Thanks for visiting - hope to see you again. Hi Stacy - the previous owner had sprayed that Rhodie silver which was also pretty fun. It's worn off by now but like you I love it as a piece of (dead) sculpture. Karen, I came via your link on GGW. This is really a thoughtful and enlightening post. I too look at the imperfect for interest and mystery. Your urn image explains the allure perfectly. I create landscapes by profession and it will not be for many years that they will become what is envisioned, and a lot of that is out of the designer's control, no matter how many tell you otherwise. 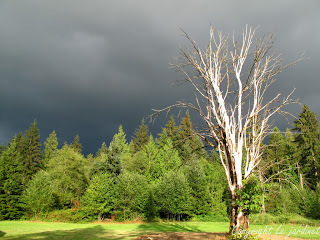 Weather and nature take the toll, but do it in a way to magnify the vision. The age adds character. The imperfections add interest. A good designer always designs for what is likely to occur and many times, it works all within reason. I am a trained architect in building design. 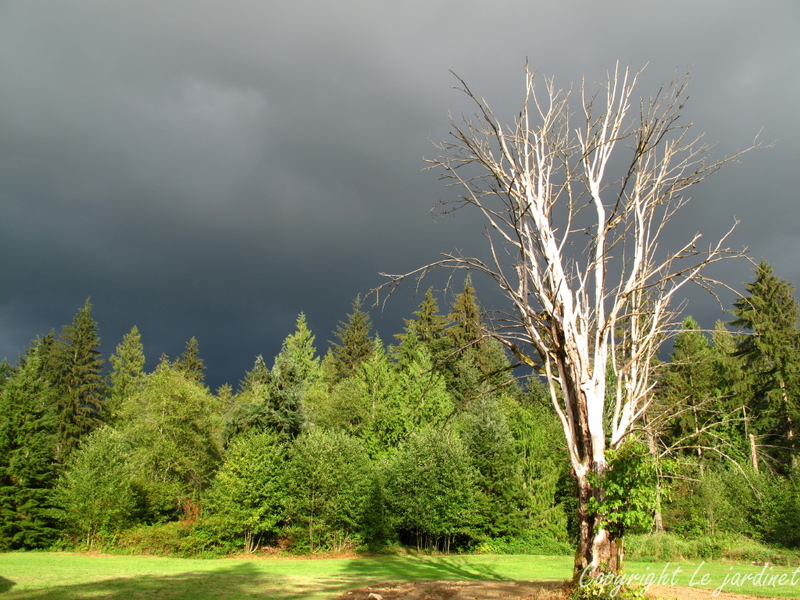 We look at things holistically and what effect weather has on materials and life over time. This enables a differing way to design. Most landscape designers, design for the immediate gratification and that is why I work with clients that I can work with for many years. Not the slam, bam thank you ma'am type of design so prevalent. Your mutants and contorted have a real place in the garden because they express this 'over time' principle. The dead trees are just as you describe, a place for animals that need homes or food. I don't leave usually these in client's gardens but a couple became carved sculpture, so not all was lost. I have no objection if they choose to leave any downed plant as habitat, we even 'design' in places just for this on occasion. Thank you for coming to my blog also. I have enjoyed your take on recent posts. GWGT - we have a lot of parallels in our lives it seems since my daughter is an architect and I'm also a designer albeit a small one! The beauty of designing this garden is that there is no time pressure. We don't need to consider resale value, instant curb appeal or HOA. This is just for us. We intend to grow old here along with the trees and I suspect we'll all get a bit awkward looking as time progresses! Join me on my NEW ADVENTURES. Same great posts and inspiration - different home. Luscious Leaves to Lust Over!